Sidebar of a blog is one of the most effective ways to get more page views on your old blog posts. From my experience, I have learned it’s more effective to show popular or random posts based on current post category to increase page views. 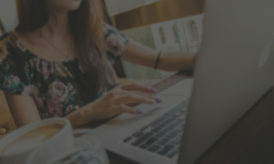 Today, I will be talking about one more method which not only helps your regular readers to discover your updated old posts, but also helps in improving the blog loyal readership. If you are one of those WordPress blogger who is blogging from couple of years, you might have been updating your old posts to keep them updated. If you are not, you should certainly do it to make sure your old post adds value. I often update my old posts, and depending upon the level of importance, I either republish them with a recent date or keep it like that. Anyhow, it’s always a good idea to let your loyal readers know about updated posts, so that they can see the updated information. 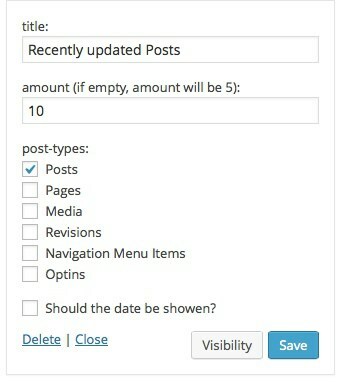 There is a useful WordPress plugin which helps you to show last updated posts in blog sidebar. You should use this plugin, if you are in habit of updating your old blog posts. Last updated WordPress plugin let you add a widget in your blog sidebar or footer to show old blog posts which has been updated. This plugin can be configured to show pages, media, revisions, custom posts types too. This plugin is very simple to use and as I mentioned above, you should use it only if you are in habit of updating your old blog posts. To get stat with this plugin, simply install “Last updated” plugin on your blog. Here is the link to the plugin @WordPress plugin repo. Once you have installed and activated the plugin, all you need to do is; Go to appearance > Widgets and drag the “Last updated” widget to your blog sidebar. Now here you can configure the title of the widget, select which posts type you want to show and select the number of posts you want to see. You can also show when the post was last updated by putting a check mark on “Should the date be shown?”. In my case, I unchecked it, as I keep updating my old posts. Overall, this is a plugin which you might need only when you are in habit of reviving your old blog posts. Go ahead try this plugin, and let me know your thoughts. If you know of similar plugins which helps in giving life to old posts, let me know via comments. Actually i am looking for solution about showing my updated post as highlighted in sidebar.